Beautiful sunny Saturday morning here after some really bad thunder and lightening over the past couple of days which has hopefully now passed by. Do pop over to the challenge blog and take a look at the great inspiration from the Design Team. Aw Pat that's so cute! Love the sparkle & that gorgeous paper! Your card is gorgeous Pat, I love the layout and cute image. Beautiful paper and dies. Awwww how gorgeous! Adorable image, I love the papers and touches of sparkle. Pat - your cards are always spectacular. How sweet is the image. I know Santa Bear will be filling his stocking! Wonderful and fanciful! Gorgeous love all the sparkle & the papers are fab! 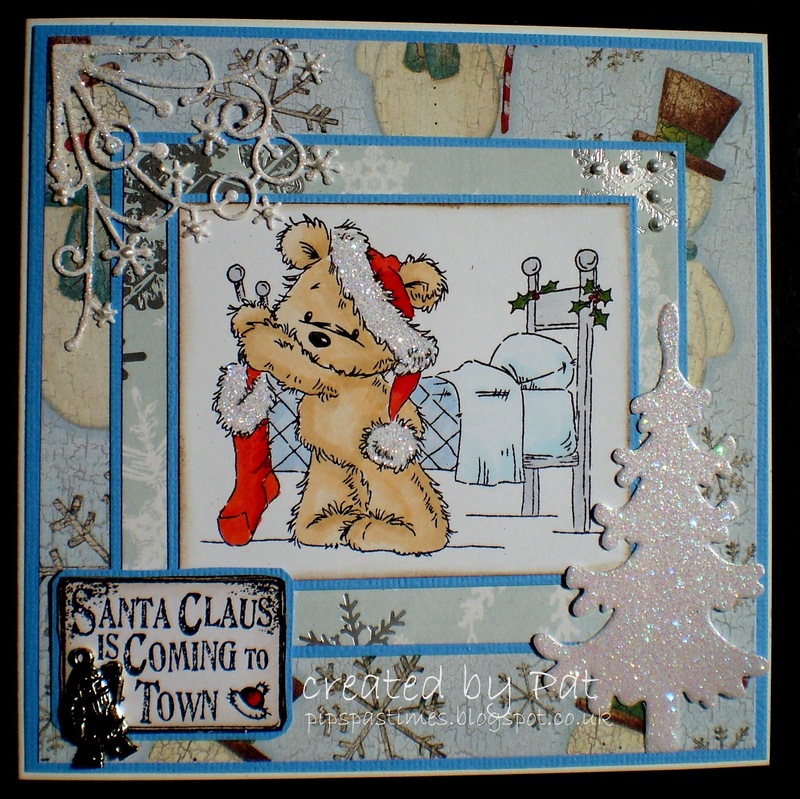 Oh this is really adorable, super cute bear and the glitter on both the papers and your die cuts works perfectly.